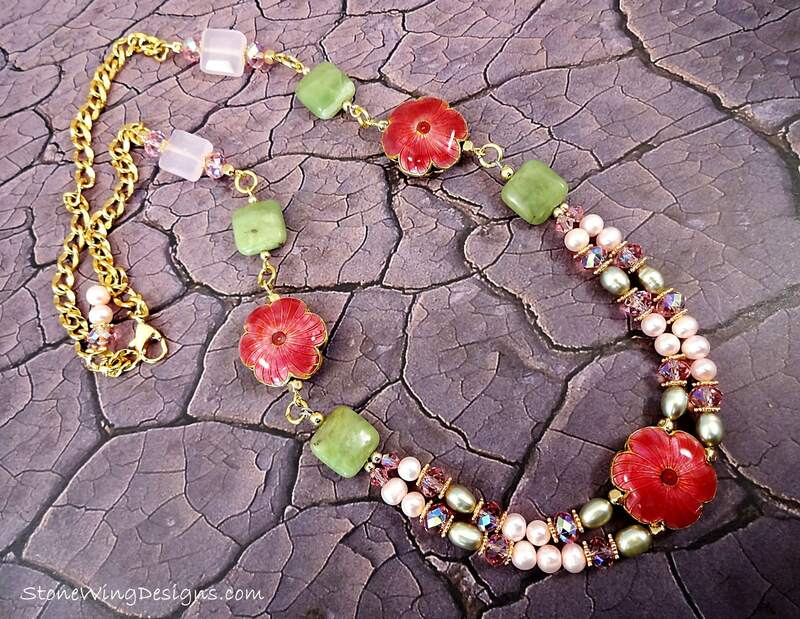 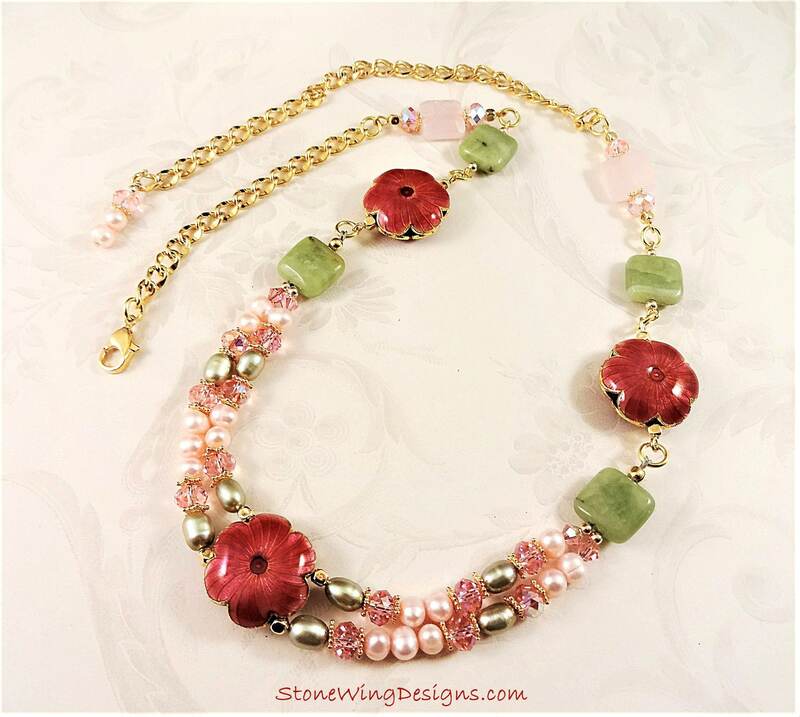 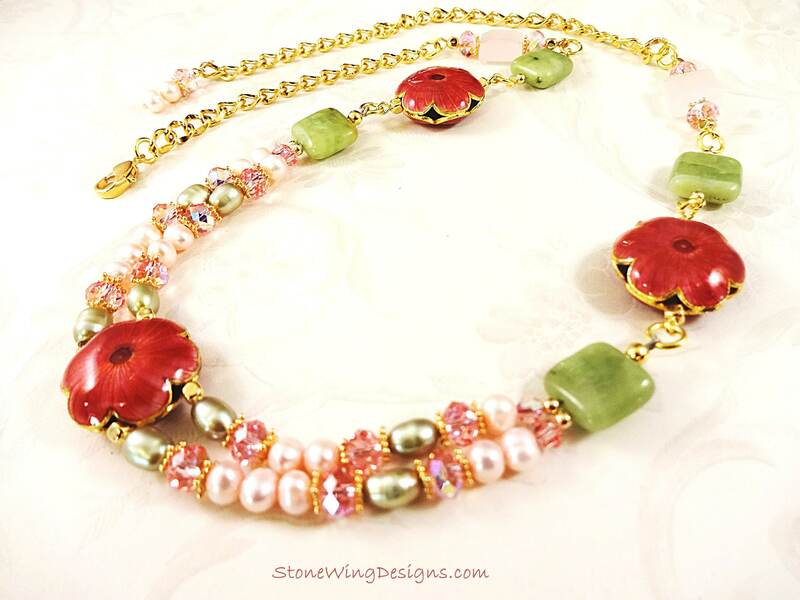 This necklace was inspired by the pink and green pastels of spring. 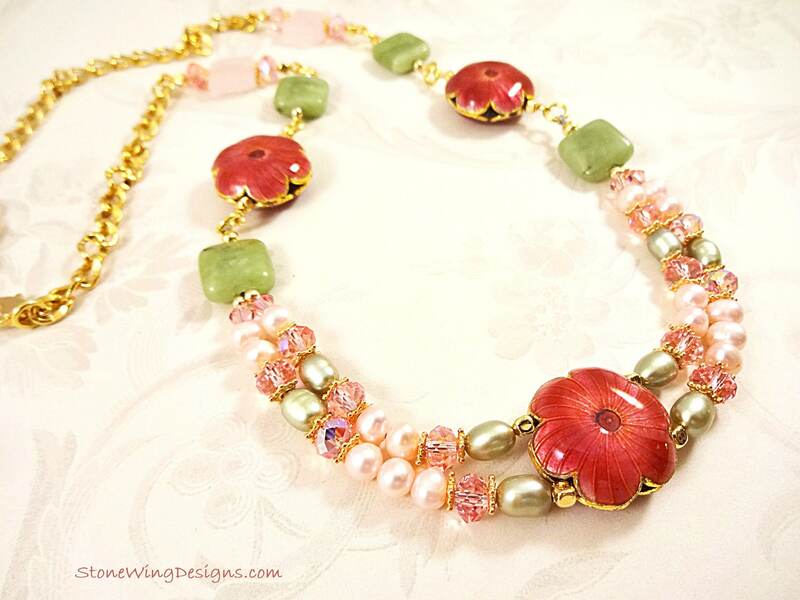 Two strands of Swarovski crystal rondelles and pink pearls grace the center of this necklace, flowing through the enamel flower centerpiece. 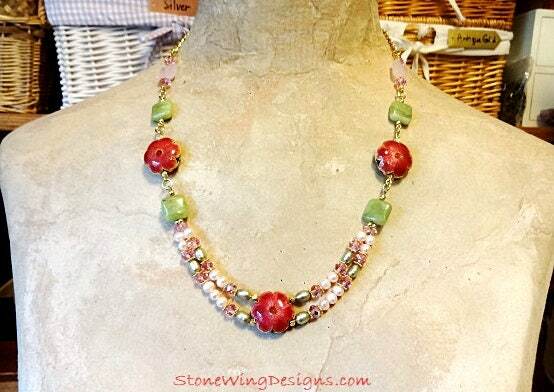 Green garnet squares and more enamel flowers anchor the sides and are wire wrapped in a chain connected to faceted square Rose Quartz and Swarovski crystal rondelles in rose AB. 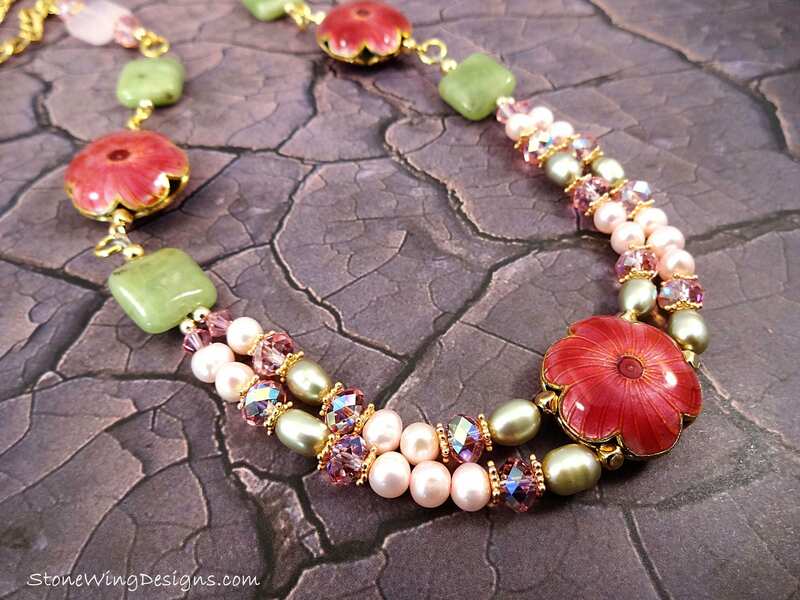 Hammered 14k Gold Plated chain finishes off this romantic, feminine statement necklace. 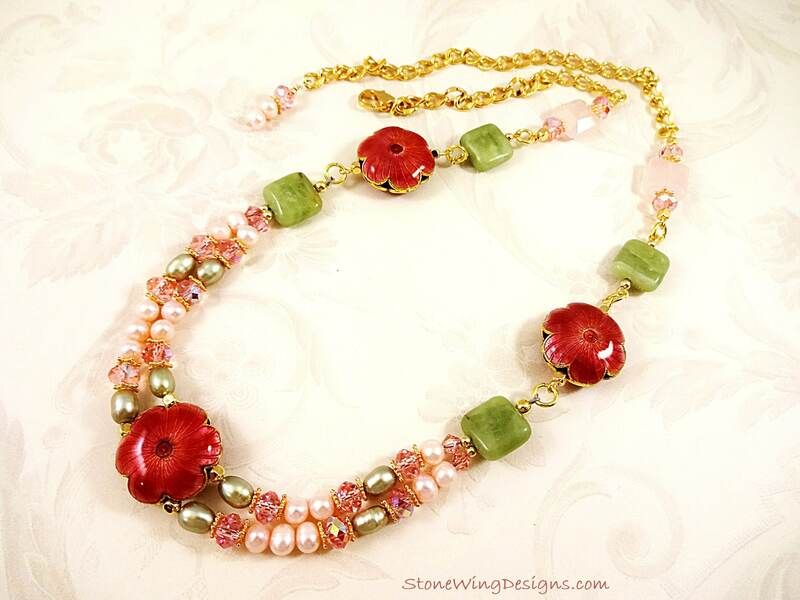 The closure is a gold lobster clasp that attaches to the chain, so the length is adjustable from 16 to 20 inches. 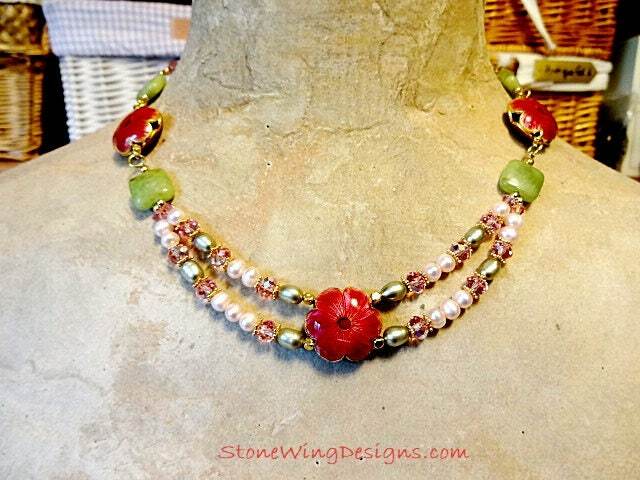 The last two pictures show the length when adjusted to the longest and shortest lengths.